I am not just an Etsy seller but a loyal customer as well. I find more pleasure shopping with small businesses or individuals selling beautiful handmade pieces or vintage garments and accessories. For one, I understand the hard work it takes to keep an Etsy shop. All the shoots and organizing, pricing, thrifting, posting, shipping, communicating, etc. It takes a lot of energy! This is a stunning coat! I am in love with statement coats, simply because I am all about giving any gloomy winter day a kick in the rear. 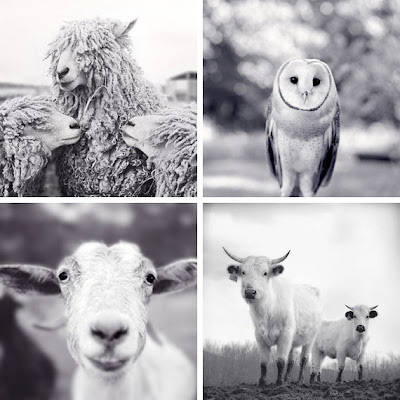 These animal photographs are SO cute. I am trying to decide which ones I want to hang on my wall. My mother has a goat herd, I'm sure she would appreciate that dainty little guy, framed, staring at her. A brightly colored fruit salad would look adorable in this dish. Love the emerald green glass. When I throw fun parties, I generally like to keep all the glass that I set the food out on, of the same color. 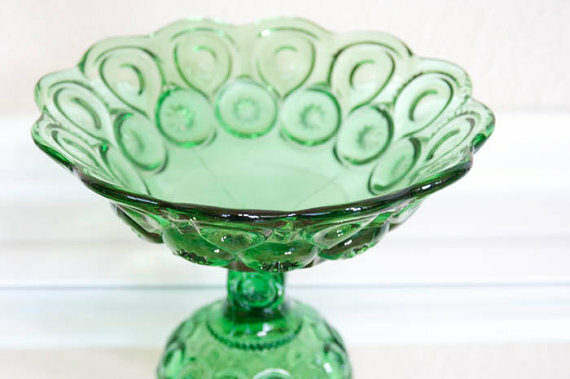 I'm thinking a collection of emerald green pie dishes, cake plates and candy bowls might make an excellent layout. 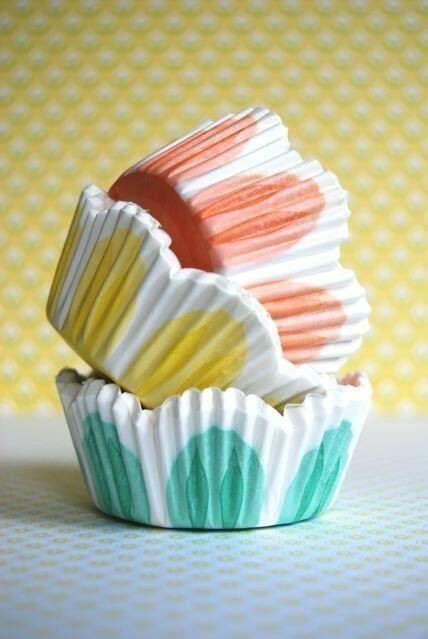 How adorable are these tulip cupcake liners? Bake a batch of cupcakes in them this spring, or use them for an Easter party. I would love to. I'm checking out your blog now! Thanks for the comment. 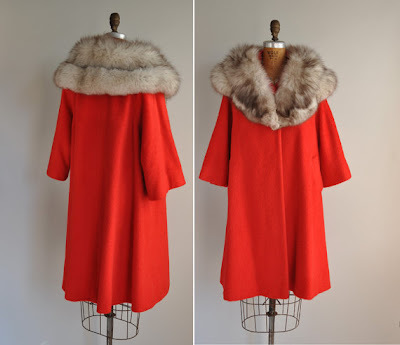 Gorgeous coat, love the color! Welcome to visit my blog and we can follow eachother on bloglovin if you like.